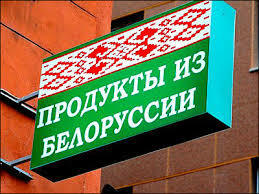 BelarusDigest > All > Belarus and Russian Food Embargo: a Success Story? Agriculture was the fastest growing branch of the Belarusian economy in the first half of 2015. Many in Russia and other post-Soviet countries consider Belarus to be a model when it comes to maintaining a viable agricultural sector. But in reality, the Belarusian government spends more on agriculture than the sector’s value added. Despite substantial subsidies many Belarusian foodstuffs cost more than European equivalents, including Polish cheese, Dutch meat, and Spanish tomatoes. Agriculture plays a significant role in Belarusian state ideology. Almost every television news report in Belarus contains at least one reference to the agriculture sector, such as the recent story on Lukashenka teaching French actor Gerard Depardieu how to mow with a scythe. In fact, however, Belarusian agriculture is the least effective sector of the economy. It still resembles the USSR era. Soviet-style collective farms still dominate the market and can barely operate without state subsidies. The share of agriculture, hunting, and forestry in the economy has been diminishing over the last 25 years – from 23 per cent of GDP in 1990 to 7 per cent in 2013, according to the National Statistical Committee. With over 320,000 Belarusians employed in the sector last year, agriculture still accounts for quite a significant part of the economy. By contrast, in Poland the share of the agriculture sector is twice as small. Salaries in agriculture remain among the lowest in the country, and hence the sector suffers from severe labour shortages. Currently, agriculture sector wages are a third of the average national salary (around $300 per month). However, earnings in this sector rose faster than the average in 2011-2013. Agriculture remains the least transformed sector of the Belarusian economy. Private farmers, the basis of agriculture in any market-oriented economy, contribute less than two per cent to the total agricultural output. Together with production from household plots, i.e. individual gardening for one's own needs, they constitute less than a quarter of the total agricultural output. Yet state-owned collective organizations or collective organisations with significant state involvement make up the vast majority of the rest. Agriculture has become a very export-oriented branch of the Belarusian economy, with a positive trade balance. In 2014 it accounted for $5.6bn or 15.5 per cent of total exports. The only problem is that virtually all these exports, particularly dairy and meat products, go to Russia. Almost all state-owned collective farms would immediately go bankrupt without state support. Only 10 per cent of agricultural firms could operate profitably without public aid, according to a study published in December 2013 by the Ministry of Economy. The absence of reforms turned agriculture into a very ineffective sector of the economy. Paradoxically, the Belarusian government uses more resources on agriculture than it produces. In recent years subsidies for the agriculture sector oscillated between 9 and 12 per cent of GDP, according to the Ministry of Agriculture. At the same time agriculture’s contribution to GDP is less than 9 per cent. On the other hand, with hardly any financial aid from the state private farmers have proved themselves to be more productive than generously subsidised state-owned entities. Over the last 15 years private farmers have increased production by 16 per cent annually, i.e. 10 percentage points faster than the state-owned collective farms. This financial performance also boosts arguments in favour of private ownership. Occasionally Belarusian officials discuss privatisation of agricultural enterprises. In November 2014, Deputy Prime Minister Michal Rusy stated that nearly 30 per cent of agricultural enterprises were insolvent and said that perhaps it was time to sell them. 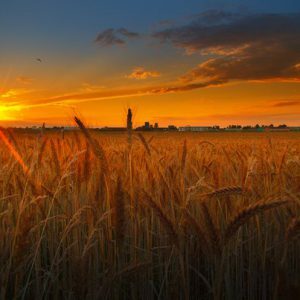 In mid-July this year the head of Hrodna region, Uladzimir Kraucou, confessed that a third of the 150 agricultural organisations in the region cannot pay off their debts. The local authorities have considered their privatisation or at least reorganisation and have even received business proposals from investors to this end. If Belarus were to join the WTO, it would have to cut significantly its financial support to agriculture. Without the prior liberalisation and privatisation of the agricultural sector, this will cause the whole sector to collapse. On the other hand, Belarus has already begun decreasing financing for the sector, and in 2016 subsidies should not exceed 10 per cent of GDP, due to Belarus’ commitment to the Eurasian Economic Union. Improvement of the business environment can be a successful substitute for the huge financial injections into agriculture. 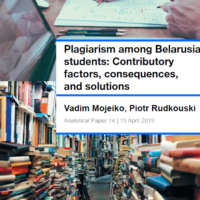 Making it easier to do business and providing equal treatment for all business entities may encourage Belarusian private and foreign capital to replace the ineffective companies or force them to become more effective. Lukashenka’s policies have hindered the development of the private sector, particularly in agriculture. For instance, Belarus now has around 20 per cent fewer individual farmers compared to 1994 when Lukashenka was first elected as president. Officials have been discriminating against private farmers, sending inspections to their premises more frequently and subsidising predominantly the state-owned collective organisations. For the last 25 years the authorities have tried to avoid reforming the sector. The absence of private ownership of land remains the real obstacle for the sector’s growth. The agricultural land market hardly exists. Less than one per cent of Belarus’ land areas is under the private ownership of natural persons who are citizens of Belarus. The experience of other post-socialist countries, both in Eastern Europe and in East Asia, shows that the transfer of land ownership boosts the profitability of agricultural activities. The ability of the Belarusian authorities to maintain a viable agricultural sector remains only a myth propagated in Russia and some other countries. In fact, Belarusian agriculture survives only thanks to gigantic state subsidies. Instead of supporting the systematically unprofitable entities, the government should distribute the financial resources more equally, creating an equal market environment for both collective organisations and private farmers.